Imagine we lived in a world where love didn’t exist. Every day would be filled with people moving from interaction to interaction – only investing in each one out of convenience or necessity. In this lonely existence, any relationship would be a short term diversion. People would detach themselves and their emotions from one another. Without love, loyalty wouldn’t be possible. Thankfully, none of us live in that world. We have love and relationships and family and humanity. Except on Black Friday. That one day of the year when retailers and brands slash their prices and try every promotional tactic imaginable has become a day of desperation. Stores open at 5pm on Thanksgiving day and announce blowout sales. 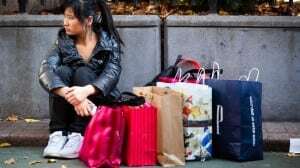 This year the marketing has extended to an entire week, as retailers aim to entice deal seekers to buy more stuff across more days. The entire situation has become a little bit like retail prostitution. Brands selling the promise of short term gratification without the messy inconvenience of emotions, relationships or loyalty. It is the ultimate example of encouraging customers to pay for pleasure. Unfortunately, when you focus on pleasure through offering one-time-only-too-good-to-be-true deals, one predictable thing gets left behind: brand loyalty. With every new promotion encouraging customers to switch mobile phone carriers or upgrade their television – the underlying message is clear. Leave the old behind, forget your brand loyalty and just go with the best deal. Even though not every customer will go for it, the sad fact is marketers are making it far too easy to be tempted. I have written before about the fact that the value of customer satisfaction is overrated because it rarely leads to customer loyalty. A satisfied customer is just one who doesn’t happen to be complaining right now. As soon as something better comes along, though, that customer will switch without thinking twice. Which leads to the real problem with Black Friday and other desperate spike-based sales promotions. Brands completely forget about existing customers. 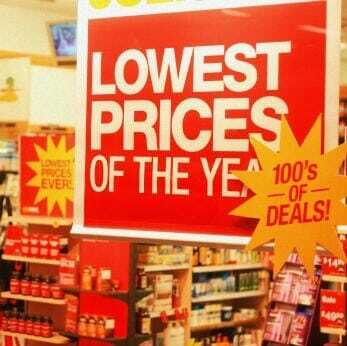 Where are the promotional deals enticing a customer to remain a customer or simply thanking them for being one? Where are the retention based Black Friday promotions? Do brands even have a retention strategy for a time when their competitors are trying every possible tactic to lure their customers away? Unfortunately, many don’t. If the relationship between brands and customers were really like love, we wouldn’t give them up so easily. Brands would try harder to change for us. They would ask us what’s wrong, try to listen, and actually fix it. They would stop focusing all their attention on starting new relationships with other customers. Of course, we don’t live in that world. 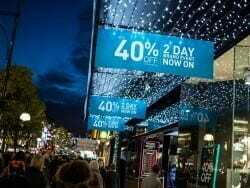 Instead, Black Friday has become a celebration of a love-free retail environment where any customer can be tempted away from any brand with the right enticing offer. So how can brands fight back? And how can they hold onto customers in a season when competitors are willing to engage in retail prostitution to steal customers away? Create a retention promotion. This is the simplest yet least used strategy of the holiday season. So many brands spend months and month planning promotions to lure in new customers, and very little time creating a promotion designed to retain existing customers. If teams could allocate more time to developing creative ideas and campaigns for keeping existing customers, the resulting business value from those activities could far eclipse those of new customer acquisition during the event. Fight back with content. In many situations where customers are considering making a switch from one brand to another, they may do some online research first. They may seek out online reviews or visit your product site for more information. The more you can fill those information seeking moments with content that helps to answer questions, the more you can remind your customers why they chose you in the first place … and why they should stick with you. Offer theatrical reminders. Using the goal of surprising and delighting your customers, imagine new ways to illustrate the value that you are bringing to them. This could be through offering a year end recap, or some type of special retention offer. The ultimate aim of this is to find a breakthrough way to remind your customers why they chose you in the first place, and ideally to do it before they start actively considering switching to one of your competitors. The bottom line is, they key to a successful brand marketing and retail strategy this holiday season will take more than a few great promotions. Instead, the real strategy question will come down to which brands have the smartest approach to keep the customers they already have and then go out and get new ones. In other words, brands need to develop the right strategy to help customers choose brand love over the temptations of retail prostitution. Rohit Bhargava is a best selling author and brand consultant. He has worked with dozens of retail brands to develop new strategies for reaching and influencing customers. To learn more about how he works with brands and marketing agencies through his Innovation Day and Retail Strategy workshops, please visit www.rohitbhargava.com/workshops.